How is your staffing firm brand doing in the social media arena? Are you seeing results from your presence so far, or are you starting to think that it is time to focus into other efforts? Before you make the same mistake that many companies make and turn your attention away from the benefits of social media, take a moment to reevaluate your decision. Take a look at some ideas below on how the social media efforts for your staffing firm help you build your brand, boost your Search Engine Optimization (SEO) results, convert more leads, and better connect with your target audience. 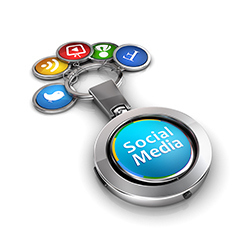 For your social media strategy to be effective, it is crucial that it is tailored to the audience you wish to target. This means that you have to conduct market research to create the profile of the ideal candidates and clients your services talk to. If you already have a plan in place, then you need to evaluate -through market research- whether the social media efforts for your staffing firm are the right ones for your goals. By identifying your target audience, you are going to be able to use the right tools, thus the right social media platforms, to reach out to them as well as share the appropriate content that relates to their needs. Keep in mind that one of the objectives of the social media efforts for your staffing firm is to build trust and credibility between your company and your audience. To do so, you need to demonstrate that you take this task seriously. Apart from posting regular media updates and staying on top of possible interactions with your followers, you need to make sure that your editorial calendar is tied to a timetable and that you stick to it. Avoid sharing content randomly, but rather choose specific times to communicate with your audience so that they know when to expect your updates. Do the same with your blog articles and post them on the same day each week. Your staffing firm is different than others because it brings to the table a unique selling proposition (USP). Your social media strategy needs to portray your points of differentiation in order set you apart from competition. Do research to identify industry topics that are of interest to your audience and share related content. In addition, keep an eye on your competitors to better position your company in the social media arena. Join industry forums that cover topics your audience is interested in and participate in conversations frequented by qualified clients and candidates. When it comes to the social media efforts for your staffing firm, remember that there are no limits. Technology is constantly introducing new social media trends that your strategy needs to keep an eye on in order to be effective and adequate. Of course, it is not easy to be aware of every single update, nor to incorporate it in your plan, but make an effort to understand how innovations affect your tactics. Is it time to create a company YouTube channel where you can share testimonials from candidates and clients? How about broadcasting your live online seminar through Facebook and Twitter? Stay familiar with the latest social media trends and see which ones fit them in your planning. The only way to know whether the social media efforts for your staffing firm are executed correctly is to track down their effectiveness. Is your SEO improving? How many leads have come through your social media platforms? Has the number of your followers increased, and are they engaging with you? What type of content appeals more to your audience? Look into your analytics to get the answers you are looking for and to take corrective action wherever needed. Remember that every decision you make for your company needs to be based on valid information.